I just finished sewing the top. Now that it is done, I’m trying to plan out the logistics of how I’m going to dye it. Not sure on the design yet, but I have a few plans. I need to find my upholstery thread! I’m definitely thinking of doing something radiating from the center. 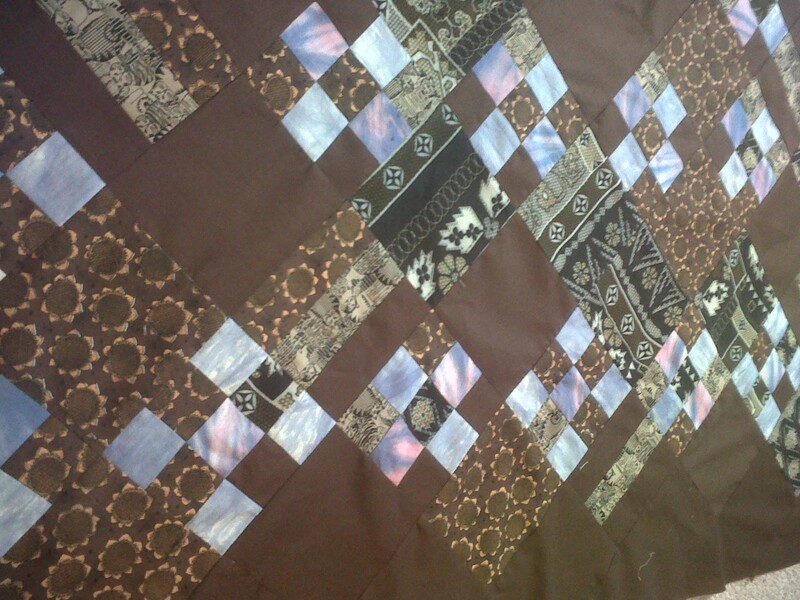 Then maybe blue on the 9 patch squares to make them pop! Wow, that looks great. I really like it.